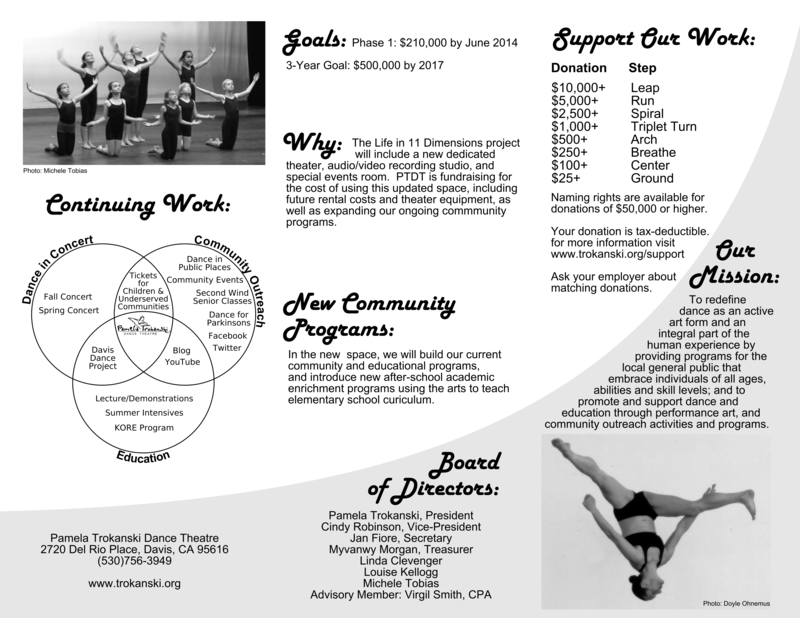 PTDT embarks on a 3-year fundraising drive beginning in February 2014. Our first goal is $210,000 by June, with a final goal of raising $500,000 by 2017. It’s a big goal with a big purpose. PTDT has the unique opportunity to be a part of the Life in 11 Dimensions project, a building in development by PTDT’s director, Pamela Trokanski. The new building will house a number of businesses focused on healthy living and will feature a new theater, large multi-purpose room, and recording studio. PTDT is raising money to fund the costs of securing the use of the new space, including future rent and use fees. The money raised will also be used to expand and improve our existing community programs (including Dance for Parkinsons), concerts, and education programs, as well as develop new programs utilizing the new space. 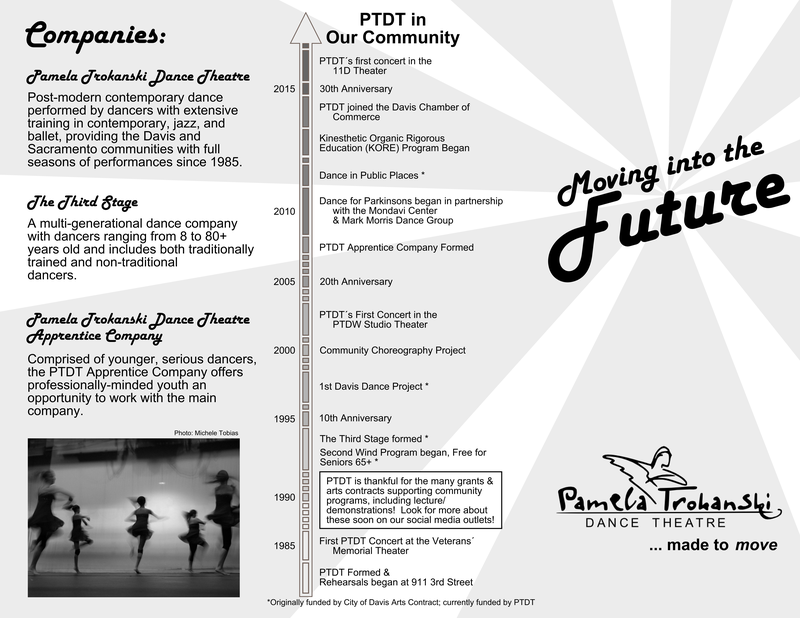 For nearly 30 years, PTDT has been bringing the magic of dance to the Davis and Sacramento communities. With your donation, we’ll make the next 30 years bigger and better. Donations are accepted via check or electronically via PayPal (linked at the bottom of the page).